LinkedIn is a wonderful tool for staying connected and keeping abreast of what, and how, other professionals in your network are doing. It is known as Facebook for professionals. You will get requests to connect with former coworkers, current coworkers, and your staff. As the manager, your feedback and recommendations are best provided through the performance appraisal process your organization has in place. 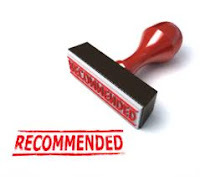 Recommendations are usually written when a direct report is, or has been, performing well. However, should performance issues arise, which ultimately require performance management and/or termination of employment, your written recommendation may be called into question from a legal perspective. The employee, and/or legal counsel, will ask why the employment is being terminated when the employee was given such a glowing recommendation. Most organizations have a policy advising managers against writing recommendations, on behalf of the organization, for current or former staff. Check with your Human Resources department for a copy of the policy. If you choose to write a recommendation for a direct report, consider doing so after the reporting relationship has changed, and they no longer report to you. Be sure to state that your recommendation is written based on your personal interaction or observations, and not on behalf of the organization.